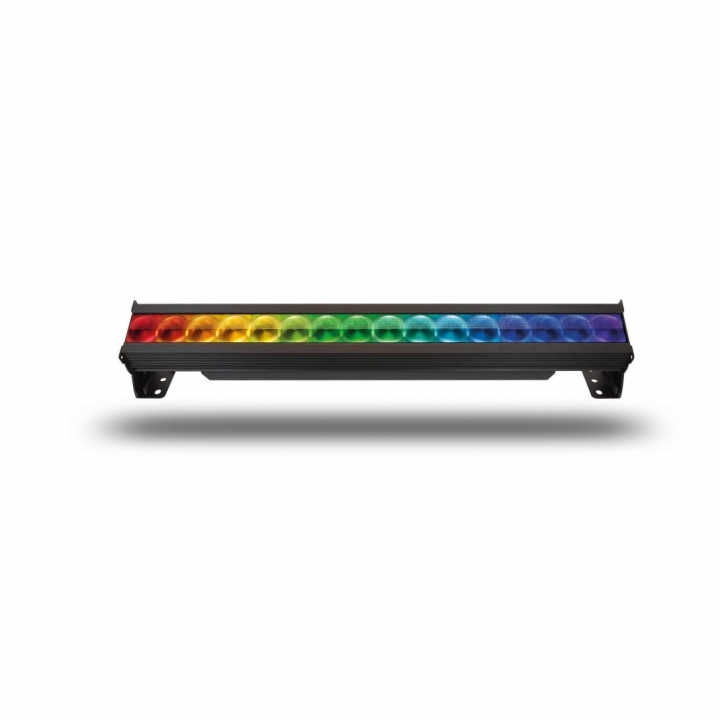 The Chroma-Q® Color Force 72™ is a truly multi-purpose LED fixture that is suitable for numerous entertainment lighting disciplines. With four powerful homogenized cells per foot/305mm, these units can be grouped and controlled to release your creativity. Unsightly color shadowing is eliminated with this innovative optical system that gives power enough to light nearly 12m of cyclorama. Perfect for a wide range of cyclorama, flood and wall washing applications where a powerful throw is needed. 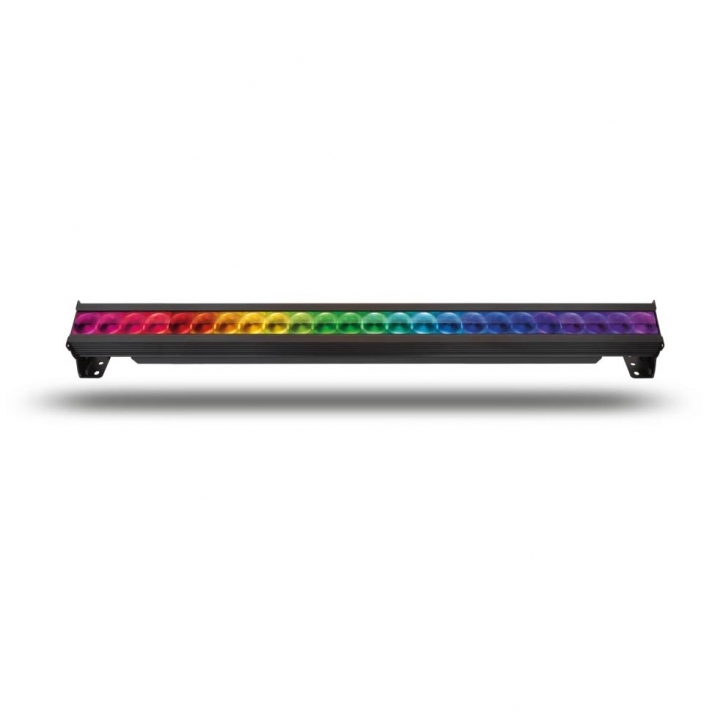 Available in 6 ft / 1.8m, 4 ft / 1.2m, 1 ft / 0.3m versions, these fixtures are specifically designed to fit in flight cases used with the original Color Force. 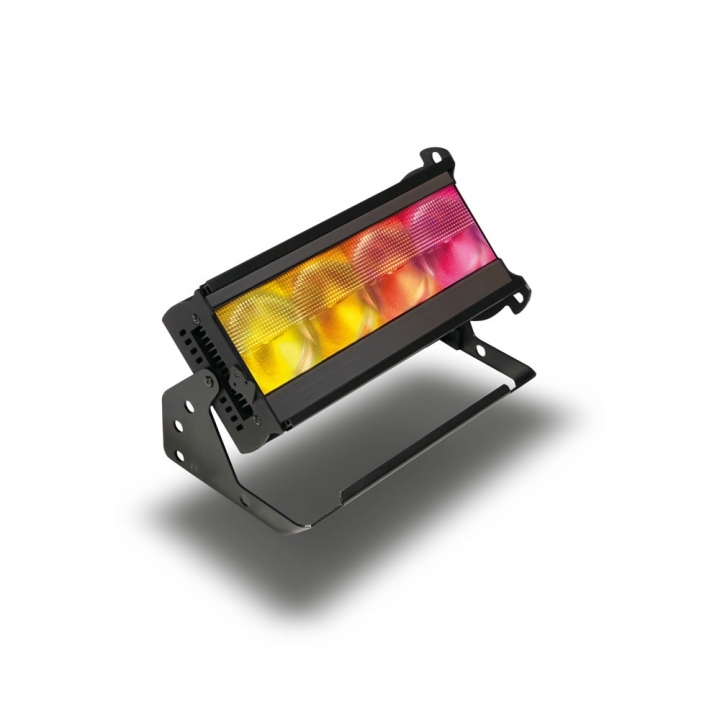 Using the very latest fully homogenised optics found in the popular Chroma-Q® Color One 100™ product range, the Color Force™ II fixtures' output is a single, clean and pure beam of light, delivering a superior colour blend with no unsightly colour-mixing shadows. The homogenised optics and improved Chroma-Q® technology provide even higher quality saturates and pastels, and a purer white - all from a single source. 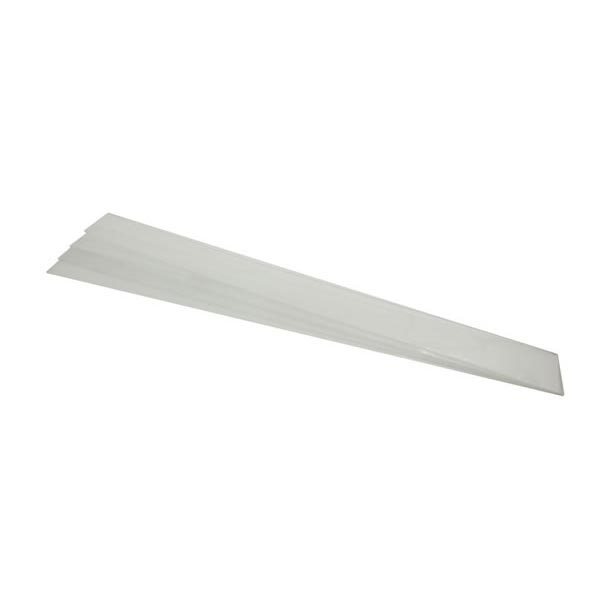 Theatrical grade dimming emulates the extremely smooth dimming curve of tungsten fixtures. Factory calibration ensures all Color Force II™ units are colour matched, so side by side they will be outputting consistently the same colour unit to unit, regardless of the batch of LEDs used or when the unit was manufactured. The new models also provide more creative control, with twice as many light engines accommodated within the same fixture lengths – providing independently controllable cells every 3 inches. In addition, advances in LED production methods, combined with Chroma-Q®'s proprietary technologies, enable the Color Force II™ solutions to deliver at least 50% more output compared to their predecessors – now capable of lighting up to a 12m cyc or surface. 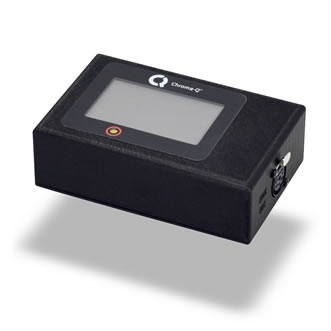 Extensive RDM functionality is provided through wired, or the optional LumenRadio CRMX, connection. Shipping Dimensions 1,855mm x 305mm x 320mm / 73" x 12" x 12.5"
Typical Power & Current Measurements done with all LEDs at maximum intensity. Measurements made at nominal voltage. Allow for a deviation of +/- 10%.